A new report that was published on Monday, cites sources in the supply chain as saying that Apple is facing the possibility of production issues with the Apple iPhone 6. The reason for a potential drop in yield is Apple's desire to make the screen thinner, by using just one brightness enhancement film (BEC) for the backlit LCD display on the device. Apple usually uses two BECs, obtained from its supplier Miebea, for the iPhone display. 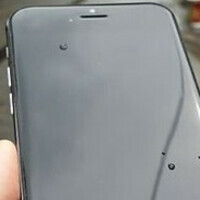 In line with earlier rumors, the supply chain sources say that the iPhone 6 will start to undergo mass production next month, with the phone expected to be released in September. interesting indeed bc some is true and some are not. And, it helps them identify the source of the leaks. Bigger screen size with less back lighting? Hmmmm. edit: Whoops, they're talking about an enhancement film. IMO they should make bezels thinner and body thicker (and it's not just me). I have to agree. Don't be surprised if there are a bunch of complaints about the iP6 bending due to the thin-ness resulting in structural weakness. Like that Galaxy phone that bent? Except it wasn't that thin at the time…awkward. Just use two man. Get me my 6! Or, the case would become paper-thin, which would guarantee it would bend. Unless the case were to be made from titanium…. Which would require a sales price approaching $1,000 US. Apple should just give up on the thin kick. Rule of thumb for big flagships is a thickness between 8 and 9mm with few exceptions (tapered body). Looks like the iP6 will snap in half or die before the afternoon.